Can you trust a financial advisor? The benefits of working with a financial planner are widely known and convincingly supported by research. However, too few of us actually turn to professional help when it comes to planning for. A recent study by Northwestern Mutual found that only 20% of Americans have a written financial plan. Another third of U.S. adults said they had no idea how much they would need during retirement. You might think you don’t need a financial planner or that you don’t have enough assets to qualify for one. The truth is, we can all benefit from a little professional advice. Whether you have very little saved or if you’re already well underway with your investments and savings, you’d likely benefit from a resource like a professional advisor — but there are other options as well. You might already have a good idea of what you want you want to do during retirement, including where you want to live or what sort of hobbies and activities you will pursue. Even if you’ve got a clear idea of what your retirement will look like, working with a financial planner can help you realize those goals and refine them. Understanding Your Goals – Turning your retirement aspirations into solid goals that you can achieve is easier said than done. Utilizing the resources of a professional financial advisor will enable you to invest and maximize your savings potential. It’s unlikely you know all the best tricks and tips to make your money last in retirement, and working with a professional may help you understand what you want later in life and refine some of the goals you’re already thinking about. Not to mention, an advisor can help you sort through all the financial jargon. Creating a Strategic Plan – Feeling financially secure can benefit you more than you realize. Once you have set goals for your retirement, you need a real plan that can get you there. 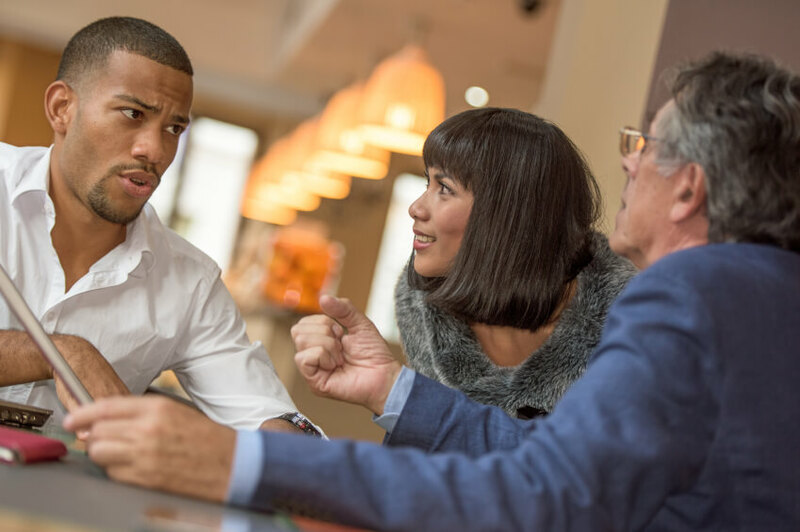 A financial planner can help you feel about two times more secure about your finances compared to those who go it alone, Northwestern Mutual found. Creating a strategic financial plan with a professional can also make you feel happier during retirement. Keeping You On Track – It’s one thing to set a goal, but it can take a lot of hard work to achieve it. A financial advisor can not only help you come up with a plan that makes sense to keep your finances in order, but will also be there to ensure you stay on track. While it’s never too late to turn for help when it comes to your retirement plans, the sooner you get your finances in order, the better. About one-third of Americans are under the impression that having an advisor requires a certain amount of assets, according to Northwestern Mutual. Sota says that a financial planner might not be the best resource for everyone because it does come with a cost, with accompanying fees and commission expenses. If you have a lot of assets or need extra help planner, it might be time to turn to a professional. What If You Don’t Want to Work with a Financial Advisor? Working with an advisor is not for everyone. Not trusting the advice is one of the main reasons people do not work with an advisor. Cost is another factor. The good news is that online retirement calcuators are getting better and better. Makes a limited number of assumptions. You get to input all the details so that it is truly a personalized plan with your own values. Retirement calculators can be a very effective way of establishing a retirement plan. They can help you establish what you have and what you need. Other online resources can help you with managing retirement investments. If you’re more of a do-it-yourself type of person, Sota suggests turning to online tools that can give you a basic understanding of what investments might be available to you. Robo Advisors are becoming a more cost effective way of getting investment advice.